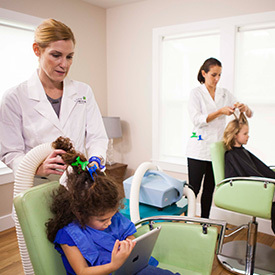 Lice Clinics of America is the largest network of lice-removal businesses in the world with over 170+ clinics worldwide. Our clinic works with CareCredit to offer clients attractive financing options that make your lice treatments as affordable as possible. CareCredit is a credit card designed exclusively for healthcare services with special financing offers. * With monthly payment options, such as the 6-month payment plan option, it is a convenient card option to have. There are no up-front costs and no prepayment penalties, so you can get started today. Apply today and get an instant decision online. You can make lice removal affordable through CareCredit. CareCredit is accepted at over 190,000 providers nationwide. To begin your financing application with CareCredit, click on the application button below for one of our three clinic locations.